Henrik Lundqvist got the Lund Qvisted right out of him by Cody Eakin in the first period of the Rangers’ game against the Stars tonight, losing his mask in the process. 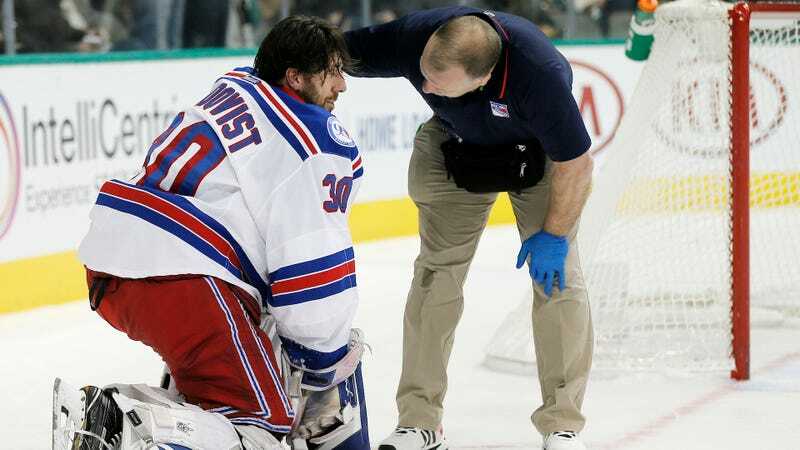 Eakin received a ten-minute penalty for his trouble, and Lundqvist was examined by a team doctor. Antti Raanta took over for Lundqvist for about five minutes, then Lundqvist came on and continued pitching a shutout.